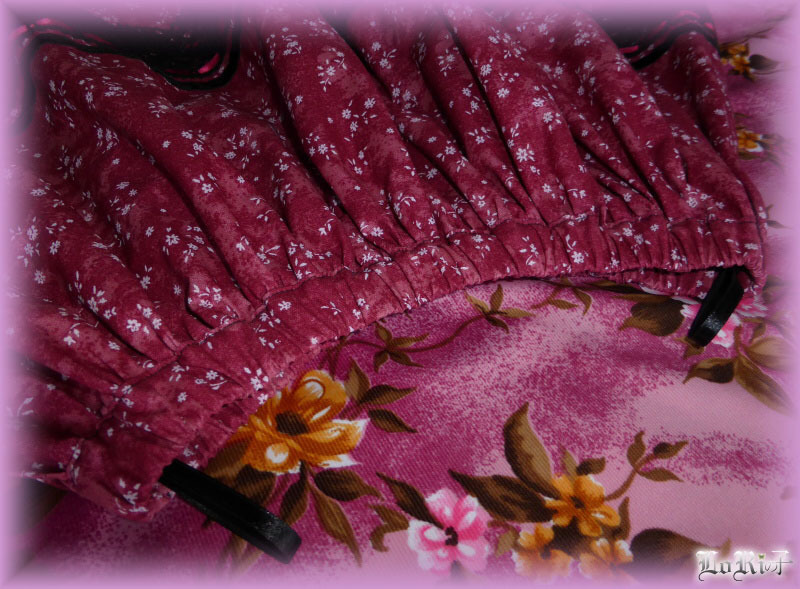 The skirt from cotton red print of tiny white flowers in combination with black material is resonating the feeling of the calm night over the lake, which is regularly coloured by red sunset. 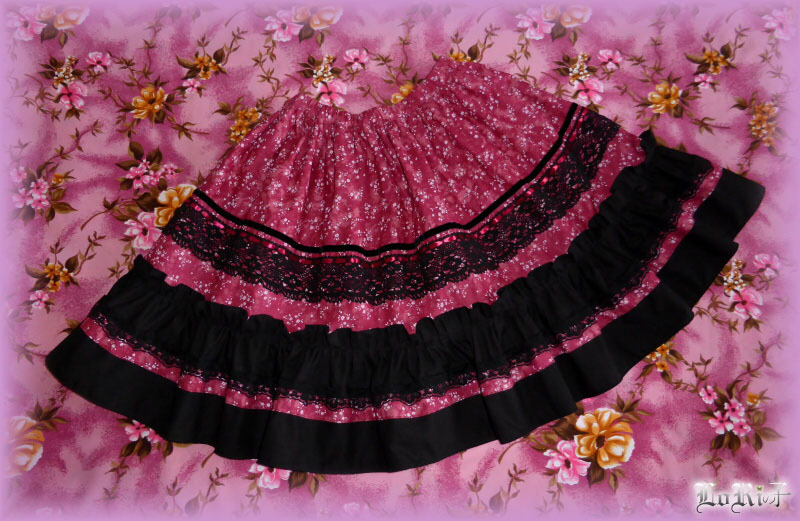 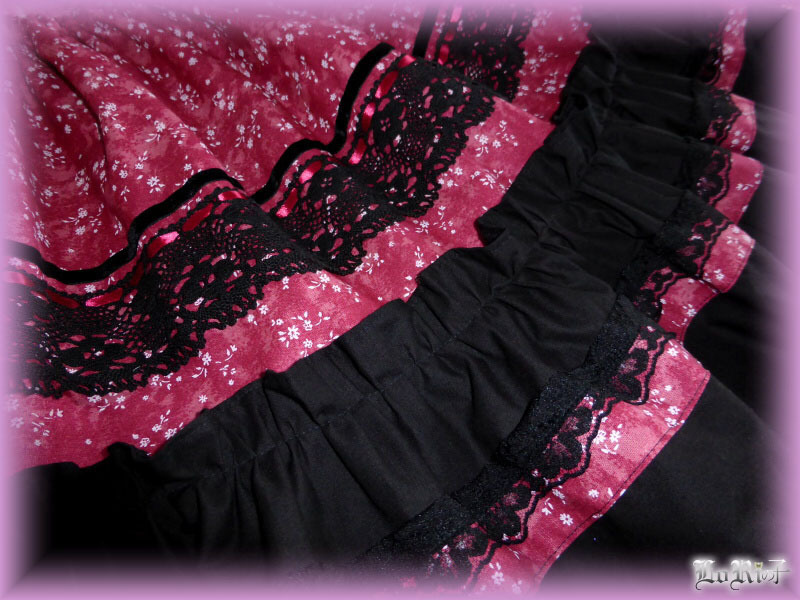 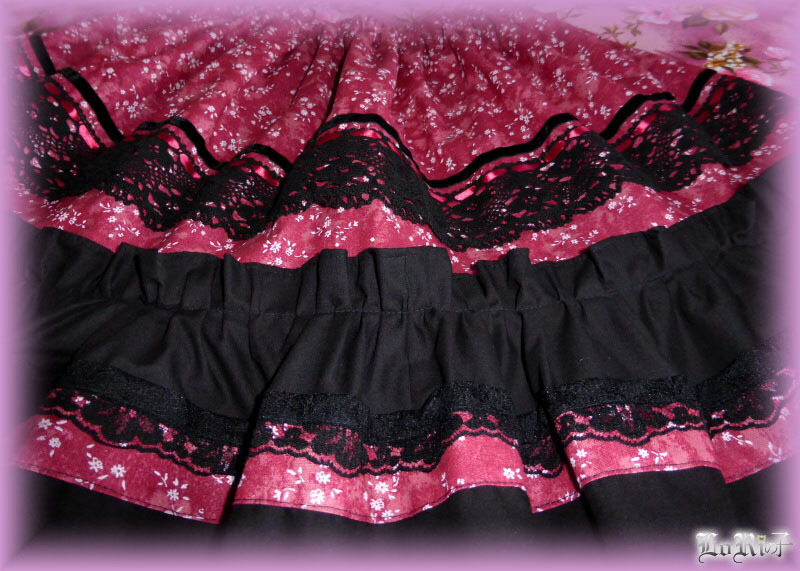 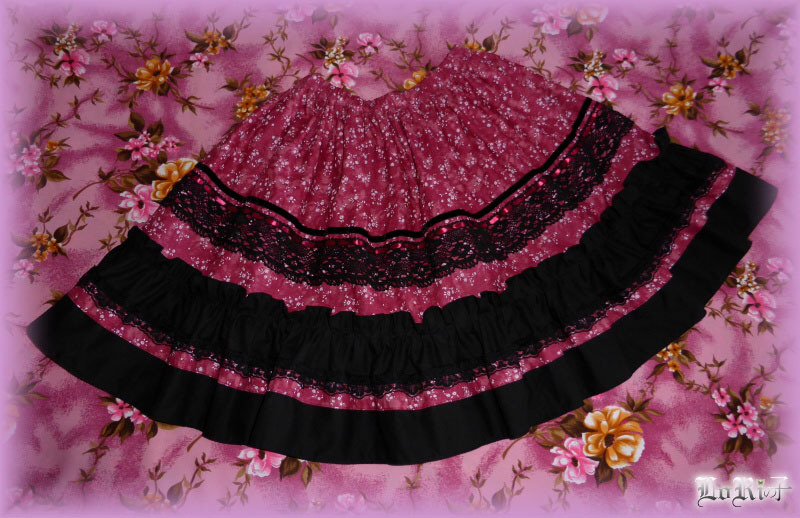 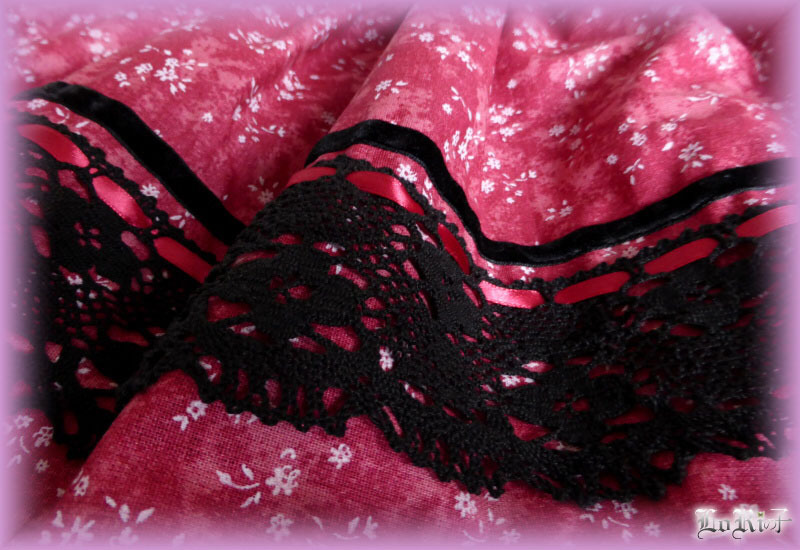 It is smartly combined with wide black lace and velvet ribbon, which only raising the feeling of the peaceful night. 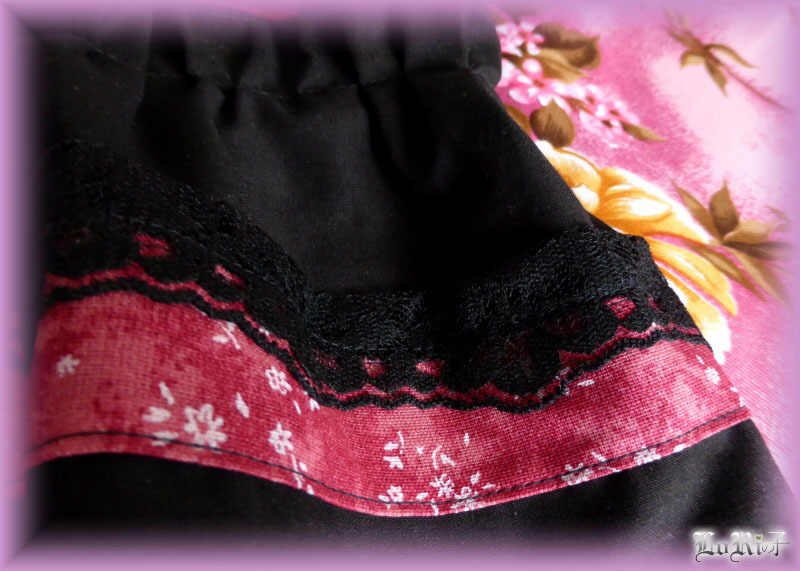 It is suitable with headband from RedLake collection.